and vibrant home port of Rockland. Listen to first-hand tales about the Taber's history by staying with the schooner's previous owners (and the current captain's parents) Captains Ken and Ellen Barnes. Taber guests may book this unique accommodation at a discount by emailing us directly. 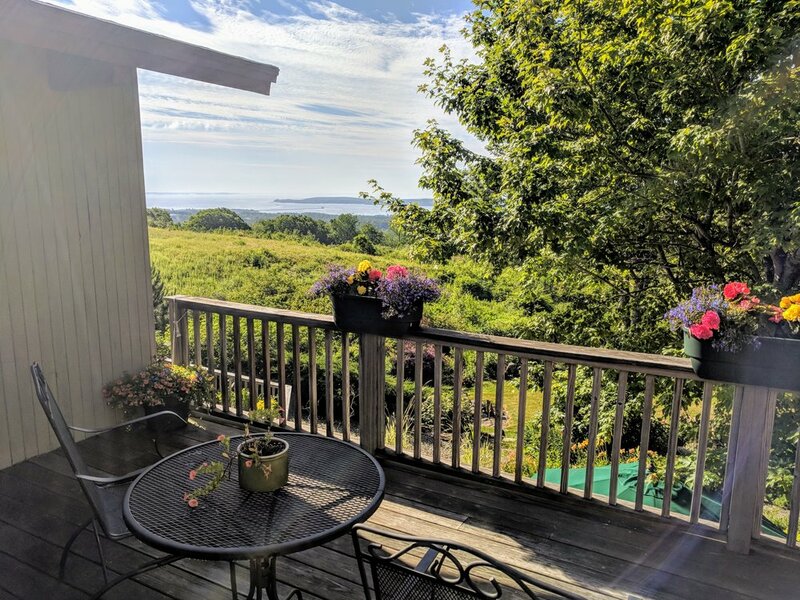 A stunning view of Penobscot Bay from your private deck.